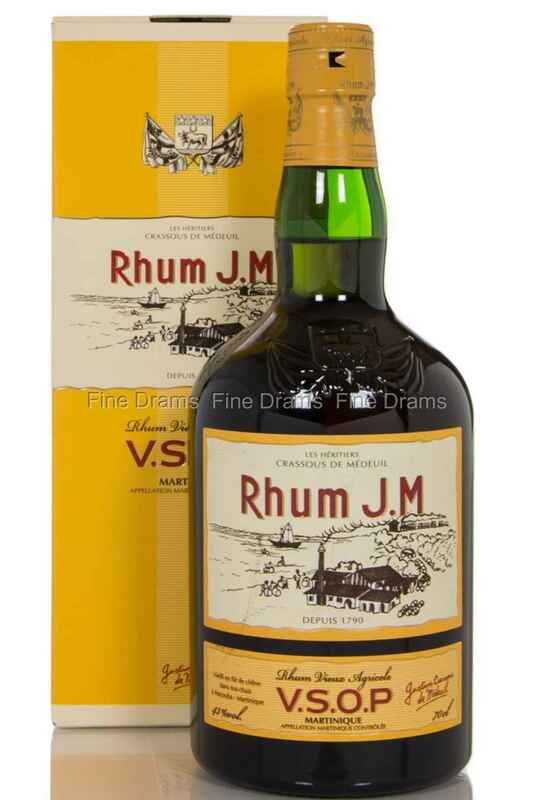 One of our favourite rum distilleries here at Fine Drams, Rhum J.M. produces a superb quality of Rhum Agricole. The distillery grows all its own cane, on the volcanic slopes of Mount Pelée (probably the only distillery in the world built on a volcano!). Whilst this might sound perilous, the volcanic soil provides a perfectly fertile environment for growing cane. This cane is then pressed and the juice fermented, as is the way with Rhum Agricole. This creates a more fragrant and grassier style than rum produced with molasses or Demerara. This rum has been distilled in column stills, before a three year maturation in re-charred Bourbon barrels and a finishing period of a year in lightly toasted American virgin oak casks. On the nose aromas of thick fudge, meringue, cinnamon, nutmeg and clove greet the drinker. The palate brings a wonderful buttery palate, with some citrus rind, fudge and salted caramel, with a little grassy cane juice. The finish is soft, yet linger with tropical fruit notes of overripe bananas. Bottled at 43% ABV, this gives the flavours a little extra kick. Another classic bottling from Rhum J.M.